On May 4, I was doing a breast self-exam, something the American Cancer Society unbelievably no longer recommends (See bullet point 5: American Cancer Society Recommendations). I was performing a self-exam because 10 years ago, my good friend found a lump which was diagnosed as breast cancer, and she had been a vocal advocate of doing these exams every month. Since having kids, my breasts had become very dense, so I was used to feeling benign lumps. But on May 4, I felt a lump that stopped me in my tracks. My first thought was, “This is what cancer feels like.” It was hard, painful, smooth, perfectly round, and movable. It felt like a marble. But when I Googled the symptoms, mine didn’t match those of breast cancer. Breast cancer is typically not painful, oddly shaped, and doesn’t move. However, I did my due diligence and went to my gynecologist the next week. She felt the lump and said, “I think you pulled a muscle. I’m not concerned.” To which I responded, “We have muscles in our breasts?” And she replied, “Yup!” (I’ve come to find out this isn’t true…yikes.) She handed me a prescription for an ultrasound simply to put my mind at ease but assured me it was nothing as I walked out the door. I’m a mom of 3 with little time on my hands, and I had just been assured that the lump was nothing, so I promptly put the ultrasound prescription on my desk…where it got buried under a mound of papers. To my friend’s credit, she put her foot down. She said she had heard of too many stories in which a woman said, “I’m sure it’s nothing,” and it turned out to be something. But I was only 39 years old! Surely that couldn’t happen to me. However my friend ended up saving my life by putting that nugget of information into my head. When I got home from our breakfast, I rustled through the papers on my desk and dug out the prescription. I then set to work on scheduling an ultrasound. After an ultrasound, a 2D mammogram, a 3D mammogram, and a biopsy, I got a shocking phone call. A radiologist told me that, indeed, I had breast cancer. The reason I say that my friend saved my life is that my cancer was aggressive and fast moving. It was growing all over my breast. Had I put off the ultrasound, like I intended, I would have been in a much different place when my treatment began. I will FOREVER be grateful to my friend for pushing me to get the ultrasound. Of course, I went through every emotion you can imagine. Name a feeling, and I had it. But the one that kept cropping up for me was actually regarding Emmy! Up until the breast cancer phone call, the most shocking call I had ever received was from the geneticist who told me that my daughter has Williams syndrome. So I couldn’t get over the fact that I felt like we already had our *thing*. You know how they say that every family has a thing? Williams syndrome was our thing!! I couldn’t understand why we had another *thing*. And a major one at that! I quickly searched online to find some people to talk to. One woman was a breast cancer survivor who did yoga. Turns out she had another *thing* in addition to cancer. And the more I searched, the more people had lots of *things* in their lives. So, yes, life is hard. But I sure do love living it! Therefore, I did everything I needed to do to rid my body of cancer. I had a double mastectomy, an 8 hour surgery which was followed by a rough recovery. I then had another minor surgery to put a port in my chest. I had 4 rounds of heavy chemo, which were infused through the port. My hair fell out. I then started a lighter version of chemo, which I will be on through August 2019. I did months of physical therapy to try and get my arms working again. I had another surgery last week to finish the reconstruction of my breasts. And some time early next year, I will start taking a pill that I’ll continue to take for 10 years. Everyone asks how the kids are doing, and the truth is that they’re ok right now. My parents have been an enormous help, so they were able to keep the kids’ schedules on track. They didn’t miss one day of gymnastics, karate, voice lessons, etc. The people in our town have also been amazing and sent us food, brought our kids on playdates, and checked in to see how we were holding up. And, finally, Dan has been BEYOND BEYOND BEYOND wonderful. He did everything on the home front, while managing a full-time job. 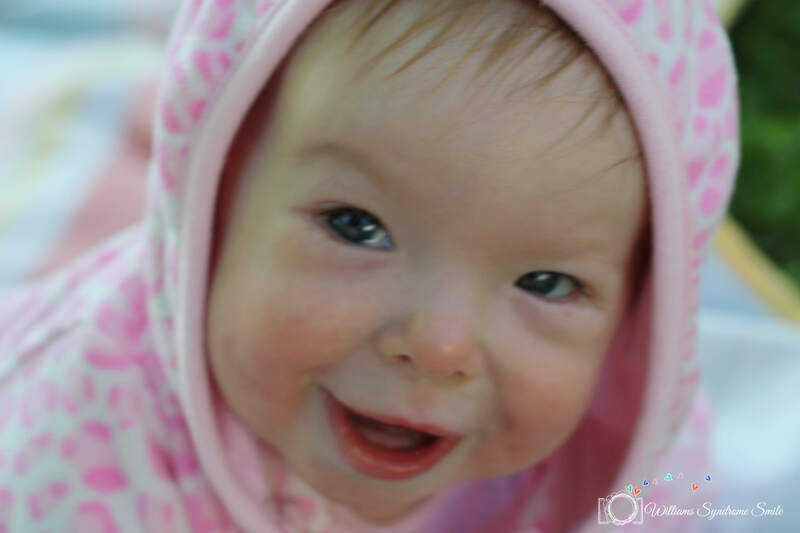 While the diagnosis of Williams syndrome sounded scary at first, Emmy has brought SO much joy into our lives BECAUSE she has Williams syndrome. And I’ve loved connecting with other families who share the bond of Williams syndrome. Even though Williams syndrome was a complete surprise, it ended up being a great surprise. However, I will say that I met many wonderful people, whom I would not have met if I didn’t get this diagnosis. And I was incredibly touched by the outpouring of support from family, friends, and the people in our town. I feel bad that my kids had to watch their mom go through this, but I also think they learned a lot about resilience — and about what really matters in life. So there we go. 39 years old and diagnosed with breast cancer. As my friend always says: Ladies, check your girls! Even if the American Cancer Society no longer recommends self exams, I recommend it. If I hadn’t checked myself, I wouldn’t have found my tumor until months later at my 40 year old mammogram, and my already aggressive breast cancer would surely have spread.